Router articles: What is Local Area Network? 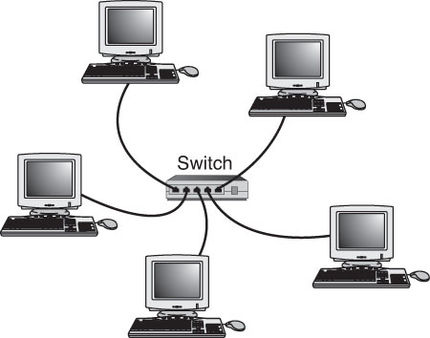 A local area network or LAN refers to a computer network. This network spans a small geographical area like a school, office building, hospital, home or a group of buildings. What is a LAN Composed of? LAN consists of inter-connected workstations and personal computers. These group of computers and other devices such as scanners, printers, data storage devices, etc. are all linked together to a server. This server and its connected devices are all located within a particular geographical area. With this connection, computers and other devices can share information and resources like a printer. How Many Computers and Devices are Connected to a LAN? A LAN can be made up of 2 to 3 computers in a tiny establishment or a computer and other hand-held devices such as smartphones, tablets, etc. It can also consists of hundreds of computers connected together in case of a large organization or office building. Which Are the Commonly Used LAN Technologies? The two most commonly used LAN technologies includes Wi-Fi and Ethernet. Other technologies included the Fiber Distribution Data Interface, ARCNET, Token Ring, etc. However, Wi-Fi and Ethernet are now the most preferred technologies today. This is because they provide better speeds to a LAN connection. How Does a LAN Function? A LAN consists of computers and servers that are connected through cables and wires. In some cases, wireless access to a wired network is possible with the help of wireless access points (WAPs). With the help of WAP, one can connect hundreds or more computers wirelessly to a network. However, cable connections remain faster than the wireless connections. Thus, stationary workstations are usually connected with a cable. However, when it comes to cost, a wirelessly connected workstation will be easier as well as affordable compared to a wired one. Thus, LAN or Local Area Network is very useful in connecting a large number of devices together and simultaneous exchange of information and data.